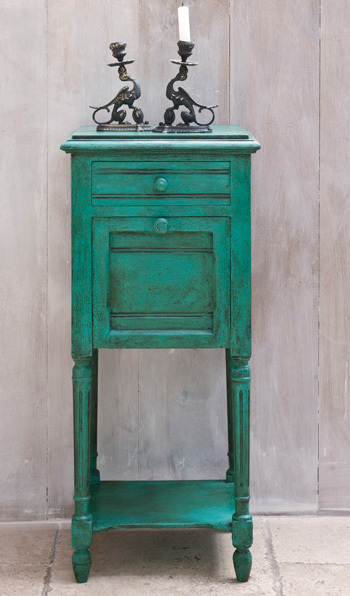 The inspiration behind this color comes from the colors of the copper green mineral and semi-precious stone, Malachite. 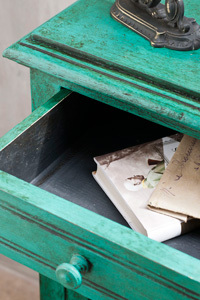 In the 17th and 18th centuries it was used as a color made with verdigris, but as it is a very volatile color, turning black with time, it is unknown as to how it was used on woodwork in many houses. It is a classical color found in classical Italian furniture.